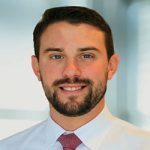 Tim Parent is the Condo Project Department Manager at The Federal Savings Bank, and reports directly to the Chief Operating Officer, Home Lending Division. Tim is responsible for leading condo loan production growth throughout the United States. He joined The Federal Savings Bank in 2014 to lead and grow a full condo department for TFSB with nationwide reach. Tim and his team approve every condo loan the bank funds, and work directly with sales in approving condo projects for builders, developers, private equity and bank partners. His team has partnered with several national developers and helped create numerous preferred lender relationships nationally. Additionally, Tim and his team work directly with HUD and the VA to approve condo projects for government loan delivery, even for established projects where the developer is no longer involved. Financial transparency in condo purchase lending is vital to a borrower’s ability to get the mortgage they want or need. In all types of home loans, a borrower’s financials are key, but this piece focuses on transparency with the condo homeowner association’s financials and legal documents. Most mortgage professionals and real estate agents understand in a condo project, the building has an extra set of guidelines that need to be met for the mortgage to qualify, but from my experience, many borrowers are not aware of this. I’ve seen many purchases fall apart weeks into the transaction and even days before closing because the building does not qualify. 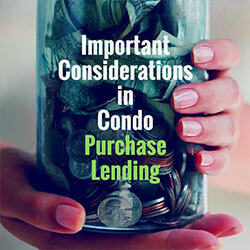 With this in mind, borrowers should be educated about condo financing requirements and take them into consideration from the point of making an offer. Make sure you and your mortgage banker understand what type of mortgage product (Fannie Mae/Freddie Mac, FHA, or VA) you’re qualified for and/or best suited for. If you need an FHA loan or VA loan, the condo association must be approved by these government agencies before you can close your loan. Some lenders will help you get the condo FHA or VA approved for a purchase, but it is more cumbersome than a conventional loan, so the seller might not want to wait the extra time to get the government approval. Make sure your seller is okay waiting for the government approval — or only look at condos that are already FHA or VA approved. If you’re purchasing a condo with a conventional loan (or a government loan), help your mortgage banker obtain the condo documents for the underwriting approval as soon as possible. These documents often can change the rate or product you can get. If it takes a long time before they’re obtained and reviewed, you might have wasted a lot of time while you could be searching for other condos that have better financing options and/or lose your earnest money deposit. Make sure your mortgage banker understands what you want to put down and what the maximum is that you can commit to for a down payment. Especially for conventional and jumbo loans, specific/better financing in a condo might only be eligible with a significant down payment. Are there any pending or approved special assessments (money that would have to be paid on top of your regular HOA assessments for repairs)? I strongly encourage borrowers, real estate agents and mortgage bankers to look at the condo’s ability to qualify much earlier in the process than what was previously the standard. By working on this earlier, mortgage bankers help borrowers who are purchasing avoid pitfalls later in the process. It’s much easier to explain to a borrower that a certain mortgage product is or is not available due to the condo qualifications in the beginning than it is when they’re a week or less from closing.The Federal Savings Bank has partnered with condograde.com, which is a proprietary company that provides condo financials and information about the project to borrowers in a more compact way that gets us and the borrower information quicker, more accurately, and cheaper than dealing directly with the HOA. Working with condograde.com allows the borrower to make more educated decisions on what building they should be considering and can even help them negotiate when they go to make an offer. I believe putting the condo’s eligibility in the forefront of the mortgage process and educating real estate professionals has provided a great service to The Federal Savings Bank’s borrowers – and encourage all borrowers to follow a similar path on their journeys to home ownership.